Montieri is a small town in the province of Grosseto, whose name probably derives from the latin words "mons aeris", meaning mount of the bronze. It lies on the northern side of the homonymous mount, surrounded by chestnut trees, oaks and beeches. Even if the area was inhabited since the Etruscan period, the first document is dated back to 896, when the marquis Alberto il Riccio gave to Arboino, Volterra’s bishop, the area including the mines. 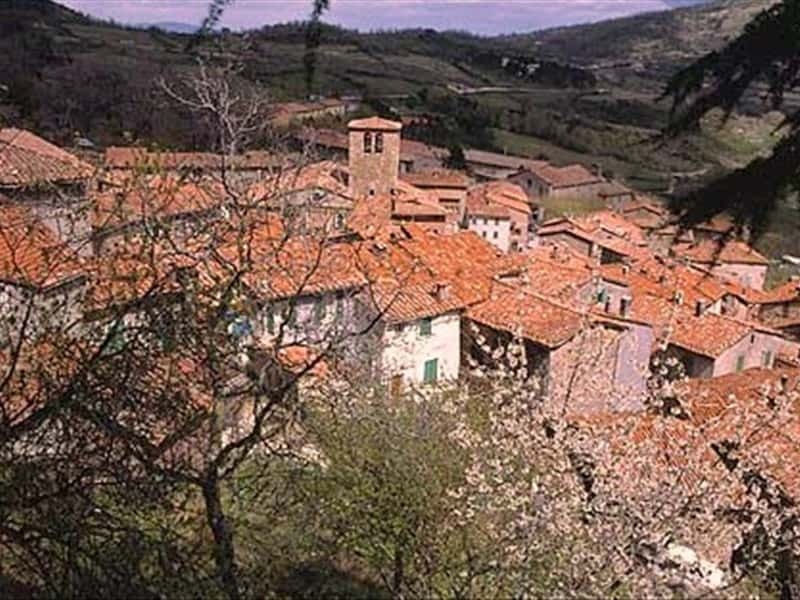 In the X-th century the village of Montieri was first under the jurisdiction of Lamberto of Aldobrandeschi and then, around the XI-th century, it passed to the Bishops of Volterra. During the next century Siena started to coin so that it tryed to conquer the village of Montieri, being this latter rich of minerals. It is still possible to admire medieval traces of Montieri’s past, such as the city walls, three towers of the castle, the typical XIII century houses-towers and the "Cassero" with the old prisond in the highest point of the town. The Church of Santi Michele and Paolo, built in the XIV century, hosts a valuable organ (1604), a panel picturing San Sebastiano (XVI century), a small painting called "Madonna della Cintola" by Taddeo Gaddi (XVI century) and some XVII century paintings. The Church of San Giacomo, set in the higest point of the town, was realised during the XI century. Finally it is possible to admire I the Church of San francesco, built between 1530 and 1536, a XVIII century organ, paintings of Sienese school and some Nasini’s works of arts. This town web page has been visited 32,872 times.